The allspice tree—Pimenta dioica—is an evergreen of the myrtle family, and a native of South and Central America, where it grows wild. Allspice was first used in Mayan cuisine, but soon spread to the Caribbean Islands. 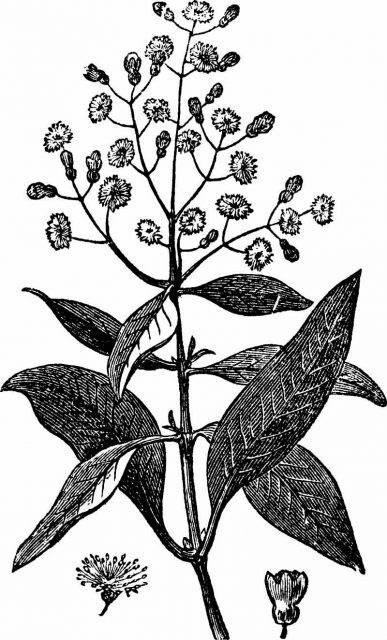 Allspice got its name out of sheer ambition. 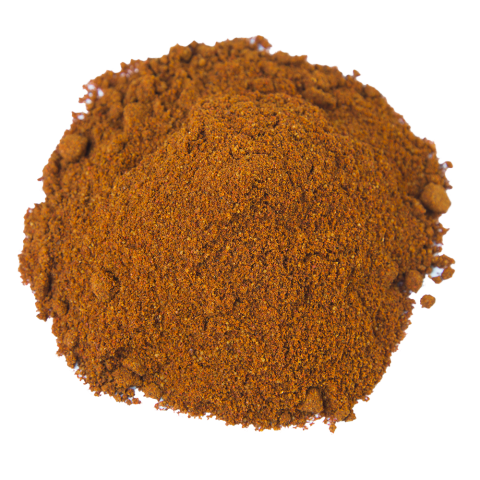 This is a spice that yearns to be cinnamon, clove, and nutmeg, too, and as a result it presents cooks with a unique flavor profile that hints at all three while declaring its own unique identity; the English took note and gave it its name. Allspice berries are picked when they are green and unripe, and then sun-dried. The dried, whole berries taste a little bit sweet and very slightly peppery-pungent, and they have an earthy complexity. 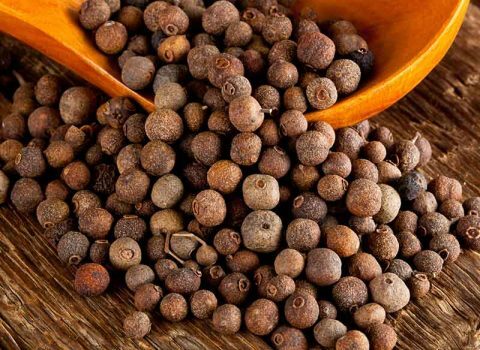 Allspice adds a marvelous dimension to savory dishes, especially those featuring duck or pork. 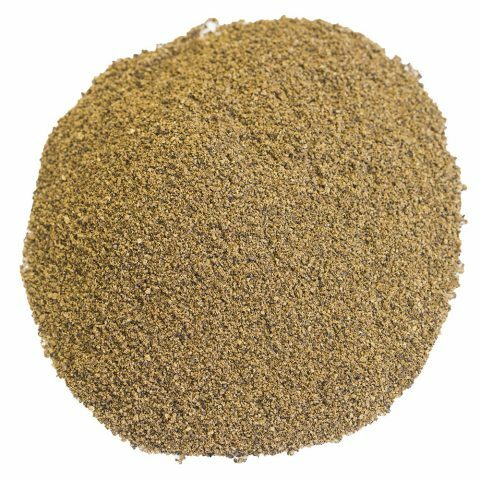 Many chefs and cooks prefer the flavor of Jamaican allspice. It has the highest oil content of any variety, and is considered the most richly flavored. Ground allspice is traditionally used in baking. Pumpkin pie, gingerbread, and other holiday favorites feature allspice prominently, and its aroma is recognized as a ‘Christmas spice’. 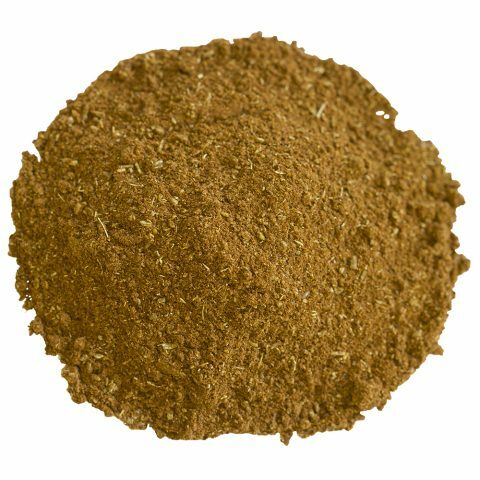 It is used in meat and vegetable dishes as well, however, and freshly ground allspice is a necessary ingredient in making authentic Jamaican jerk chicken. The flavor of whole allspice is milder and a little sweeter than ground. The dried, whole berries lack the intense quality of ground allspice, and the fact that it is usually toasted by cooks before using further softens and focuses this spice, allowing it to blend very well. Whole allspice is a necessary ingredient in mulling recipes as well as brines; corned beef recipes typically use allspice, and it is used in pickling brine to offset the sharper flavors of mustard seed and garlic. Creative chefs use it to bring out the flavors of duck, chicken, pork, and beef, and in stews and braises. Winter soups using sweet potatoes, carrots, and squash. Allspice was used by the Mayans for religious rituals, to preserve meat, and as an ingredient for the world’s first chocolate. It hopped a ship with Christopher Columbus, who had adopted Marco Polo’s love of spices, and had been determined to establish a trade route to the Indies—that is, Indonesia and India. He wound up finding allspice, believing it to be pepper. Sailors liked the idea of using allspice to help preserve meat, as it added a new dimension of flavor to the salted beef that was a staple of shipboard dining belowdecks. It was called by a variety of names, including Jamaica pepper and newspice. Today, most allspice is grown in Mexico, Honduras, Guatemala, and Jamaica. Each country yields its own unique version of this tried-and-true and historically relevant spice. Jamaican allspice is considered the most acutely flavored, with a pleasing, clove-like bouquet, and the desired high oil content. dioica is a shrub. It can grow to over thirty feet, but it will only grow in the Western Hemisphere. Early Europeans attempted to bring it home with them, but the plant did not adapt to the climates. It grows in heights between 500 and 1,300 meters, and needs significant rainfall to flourish. It prefers the partial shade of tropical forests. In Jamaica, the allspice plant has been cultivated since the sixteenth century; it is harvested in the late summer. Jamaican allspice contains 4% volatile oil, the highest level of any variety. They are darkly colored, and larger than allspice berries from other countries. 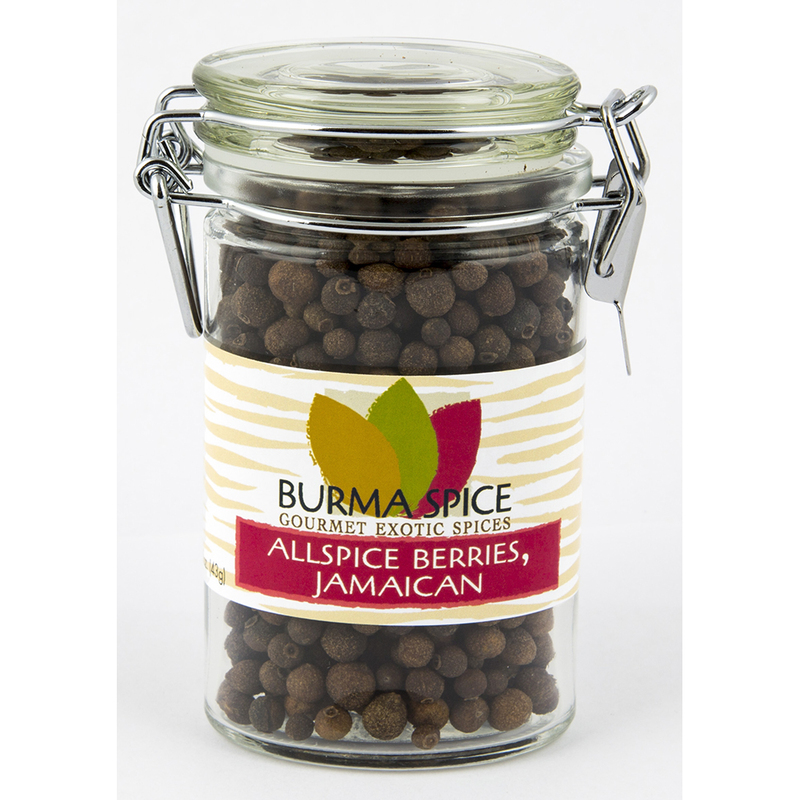 Our Jamaican allspice berries are some of the finest currently available. We source our allspice from a small grower, the Collier family farm in Lime Hall, Jamaica. 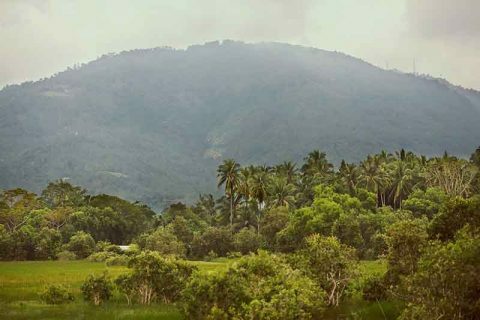 The Collier farm is situated on the North Coast of the island, in the lush hilly region of St. Ann Parish, the ‘garden parish’ of Jamaica.